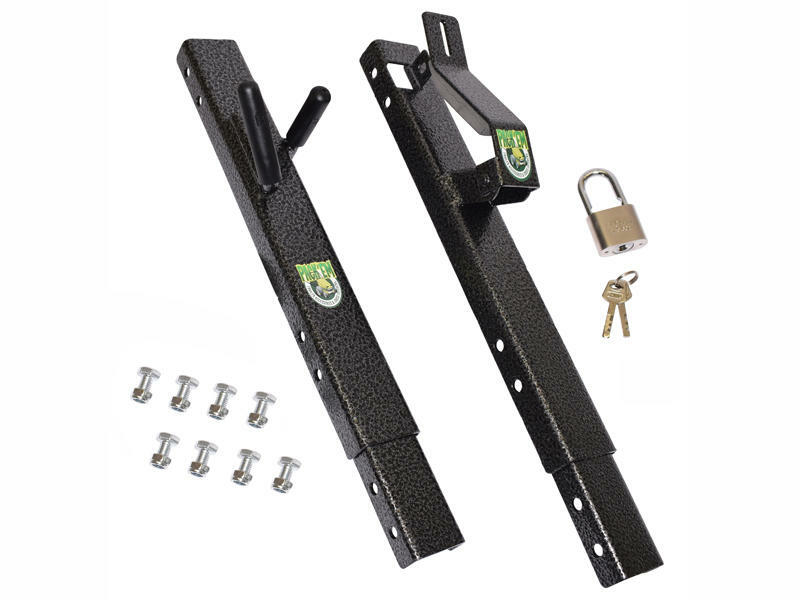 This rack is to be added to a PK-6S to make it a 2-place trimmer rack for either an open or enclosed trailer. Lockable - includes one lock. Per the manufacturer: This sturdy steel rack will bolt to your PK-6S, 1-place trimmer rack making it a 2-place trimmer rack. The PK-6S is already mounted to your side trailer rail, you simply bolt the PK-6S2 to the top of the PK-6S into the pre-drilled holes and securely tighten the bolts. Installation is now complete. Constructed of sturdy steel with a hammer gray and black powder coat paint finish for corrosion resistance.